Depart USA via jet service to Istanbul, Turkey. Dinner and Breakfast will be served in flight. 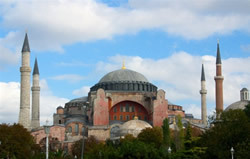 Upon arrival in Istanbul, Turkey largest city your guide will meet you and transfer to your hotel in town. In the afternoon discover the city visit Church of Chora and Spice Market. Dinner and overnight. Full day tour of Istanbul. In the morning drive to the old town and visit Hipodrome and the famous Blue Mosque, visit TopkapiPalaceMuseum, see the Sultan's Treasury and Porcelain collections. In the afternoon visit St. Sophia Church and The Grand Bazaar. Transfer to the airport in time to connect with your flight at the end of the day to Izmir (ancient Smyrna). Upon arrival transfer to your hotel. Dinner and Overnight. In the morning drive thru Izmir, site of Polycarp's death and the church. Start for a day OF exploration of the Seven Churches. Drive eastward to Sardes visit the Temple of Artemis (Diana), the Byzantine church, restored Synagogue and Gymnasium. Continue your drive to Alasehir (Philadelphia) visit the remains of the church. In the afternoon continue to Colossea where one of the Seven Churches existed. Then visit Laodicea from 3rd Cenury. View the church and the theater. Dinner and overnight in Pamukkale. 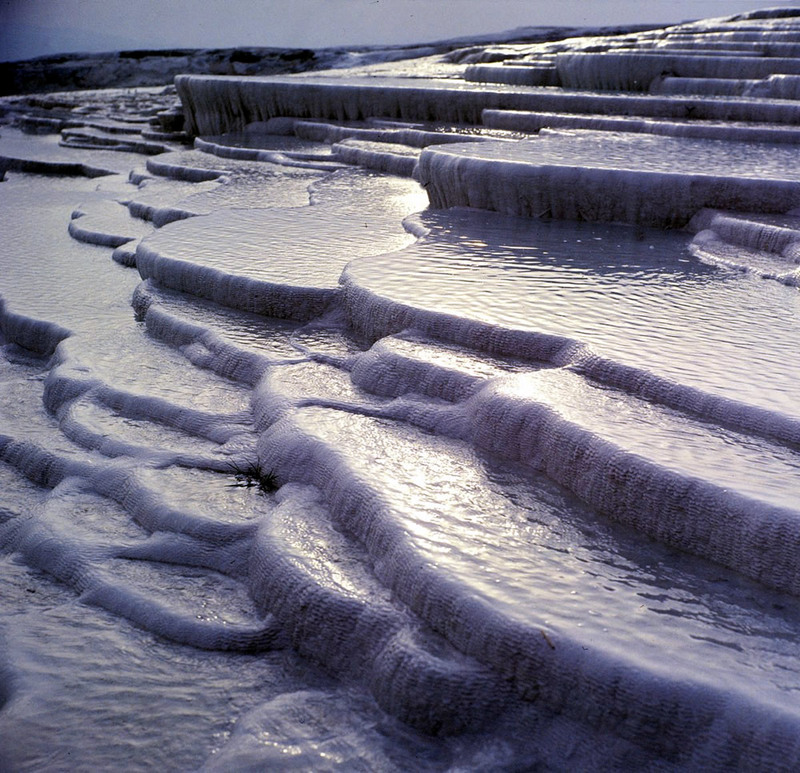 In the morning visit ancient Hierapolis, the ancient thermal center. 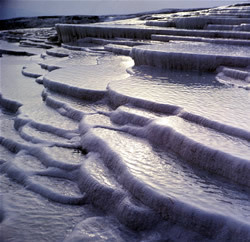 See the ruins and the calcium deposits, natural lake-warm pools. Continue to Ephesus. First visit the Church of St. John, it is the best preserved and the leading of the Seven Churches where St. John was buried. Walk thru the ancient city of Ephesus once a port town gateway. 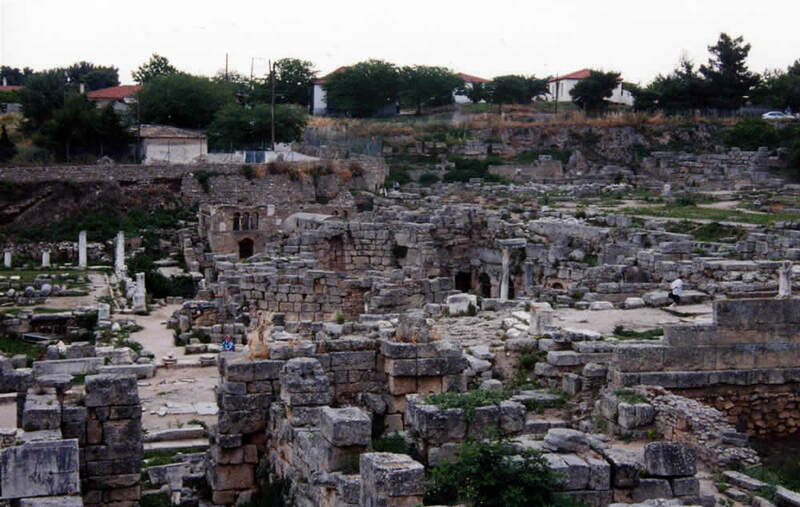 See the spectacular ruins and the Grand Theater where St. Paul preached. Visit the House of Mary where she spent her last days. Allow time for shopping. Transfer to your hotel for dinner and overnight in Kusadasi. Depart in the morning north and visit Thyatira (Kaiser), which was famous for purple dyes, and Jezebel. View the ancient Temple. Continue to Pergamum, here was another one of the Seven churches. Visit Acropol, see the Altar of Zeus, Citadel, Trajan temple, amphitheater. Later Aesculapium which was the earliest healing Center. In the afternoon continue north, pass by in a distance Assos where Paul met Barnabas and walked to Alexander Troas where they sailed to Philippi. Dinner and overnight in Canakkale. Cross Dardanels strait from Asia to Europe, drive thru the Gallipoli War 1915 battlefields over Gelibolu and Kesan. Reach to Greek Border at noon and cross to Greece. Continue into the modern port city of Kavala, ancient Neapolis, where Paul accompanied by Silas, Luke and Timothy, first set foot in Europe. Aside from the great panoramas of Kavala, the city has a Byzantine castle, aqueduct, and museum containing finds from ancient Amphipolis and Philippi. Overnight in Kavala. Tour Philippi, where Paul delivered his first sermon in Europe, sowing the seeds of Christianity. Here Paul baptized “a certain woman named Lydia” the first Christian convert in Europe. The Roman Forum, completely excavated, is from after Paul’s time. Among the ruins, located on the rocky ledge above the town’s main road, is the “prison” where Paul and Silas were thrown. In the rocks you will find inscriptions and carved reliefs of deities. It was in Philippi that Octavian and Antony defeated Brutus and Cassius, last defenders of the Roman Republic in 42 BC. Continue to Thessaloniki, the former capital of Macedonia. Paul preached there during the winters of 49-50 AD and wrote the two epistles to the ancient Thessalonians. See the ramparts of the city, the Triumphal Arch of Galerius straddling the Via Egnatia, once a strategic artery of the Roman Empire. Overnight in Thessaloniki. Depart Thessaloniki via the National Highway enroute to Athens. Stop in Beroea, where the scriptures say the people were "More noble than in Thessalonika" In its Jewish synagogue St. Paul preached successfully (Acts, xvii, 10, 13); on withdrawing he left at Beroea his disciples Silas and Timothy. Continue to Athens for dinner and overnight. 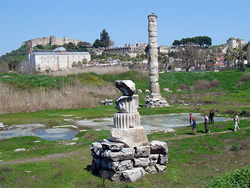 Drive to visit Ancient Corinth, seeing the Archaeological Museum, the Bema, the Marketplace and Temples. Corinth was home to St. Paul for 18 months. From the Bema at Corinth, Paul spoke to the Corinthians about Our Lord and Saviour Jesus Christ. On the way to Corinth, stop for a few minutes at the Corinth Canal, which separates Peloponese from the Greek Mainland and connects the two Seas (Ionian and Aegean). Return to Athens. 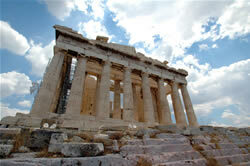 Following breakfast, you will be met at your hotel for a city tour of Athens. Drive to the House of Parliament, Tomb of the Unknown Soldier, the Royal Palace, and the stadium. 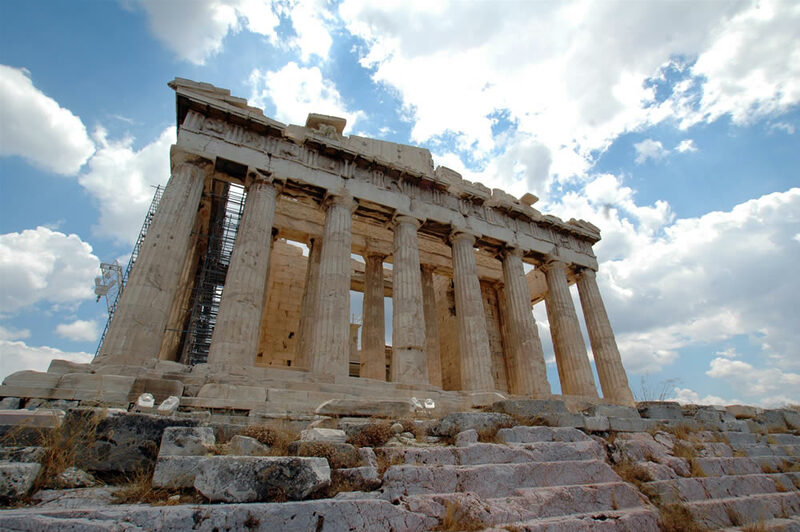 Highlighting your tour is a visit to the famed Acropolis, the Aeropagus where St. Paul addressed the Athenians and the National Archaeological Museum, housing numerous treasures. Afternoon at leisure. Transfer to the airport for your return flight to the U.S.A. Arrival, in the afternoon local time.